Businesses everywhere struggle to capture value from their logs, and the gap is widening. 82% of organizations reported the inability to manage large amounts of data as the key reason for not monitoring all the events and system elements in their environment. But the challenge isn’t really the sheer amount of raw data, it’s the lag in software that’s capable of grappling and interfacing with all those logs. With recent advances in artificial intelligence, a solution just might be around the corner. The user experience of yesterday’s subpar software is being replaced by today’s machine experience, promising to finally bust the bottlenecks in human resources, data preparation, and problem-solving methodologies that have too long been the norm in digital businesses. 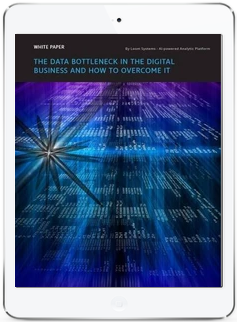 Download this whitepaper to learn how to solve the 3 bottlenecks that are stopping IT operations from monitoring all the data to prevent problems rather than only detect them.